Presidential Candidates, Congressional Leaders, Corporate CEO's and Presidents, Board Members, Managers, Small Business Owners and Entrepreneurs will each benefit from Bill Boyajian's 40 years of leadership which has informed his clear, pragmatic and success-making book "Developing the Mind of a Leader: Your Path to Lead and Inspire People." Psychologist Dr. Carol Francis interviews savvy CEO Bill Boyajian on the Dr. Carol Francis Talk Show July 2. CEO Bill Boyajian interviewed by Psychologist Dr. Carol Francis on July 2 on the Dr. Carol Francis Show -- Live and On Demand (Link Here). Small business owners, growing companies with tiers of managers, entrepenuers, or project leaders, corporate presidents or CEOs each need to understand Human Engineering principles and leadership attributes in order to maximizes the productivity of their company, growth, and functionality of their team. How do company leaders become productive and effective? What business practices sculpt an effective leader so a team can be a winning group? What are the essential and proven traits of a leader? How do those traits differ from a manager or an ineffective leader? What skills differentiate Presidential Candidates or Congressional leaders? What character qualities are lacking in governmental leaders which might significantly create necessary changes? What challenges do CEO's, Board of Directors, Company Presidents face which compromise their ability to create functional companies in this financially challenging era? How can small business owners lead their companies to the next tier of growth and financial success? With over 40 years of leadership experience and an amazing reputation heralded by his former employees and staff, CEO Bill Boyajian has pragmatically answered these and other questions in his recently released book, "Developing The Mind Of A Leader." Bill Boyajian delineates the 6 C's of a leader's personality and character. He tackles how to lead a team crippled with complications into functionality. He explains how to hire the 10's and how to be a 10 too. Bill Boyajian explains the difference between being a Star and Leading Stars. Review his book at http://billboyajianassociates.com/book-preview/ and order his book. Join Bill Boyajian with Dr. Carol Francis July 2 during this instructional and clarifying interview which is well suited for company enrichment courses or discussion groups. Dr. Carol Francis has functioned as a consultant for many companies/Coorporations, CEO's, Project Managers, and Employees to improve the atmosphere of cooperation, improved team mentality, and functionality of businesses since 1983. No one in this generation has had a greater impact on the gem and jewelry industry than Bill Boyajian. In his 31-year tenure with the prestigious Gemological Institute of America (GIA), the last 20 years as its President, he impacted the lives and careers of thousands of people and left a lasting legacy of leadership. He is largely credited for taking the Institute to its pre-eminent global position today. When GIA’s Board of Governors needed a leader to take them into the future, they selected Boyajian at the age of only 34. When the U.S. Congress needed an expert to testify on the controversial conflict diamond issue, they called on Bill Boyajian. When business leaders were confronted with the threat of synthetics and treatments in gemstones, they rested confidently in the leadership that Boyajian would provide. 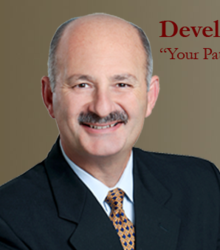 Arguably one of the most knowledgeable and sought-after leaders in the gem and jewelry industry, Boyajian now takes that expertise to new heights with the publishing of his book, Developing the Mind of a Leader – Your Path to Lead and Inspire People. In it, he expresses his philosophy of leadership and shares principles and values that served him so well over a decorated 35-year career. An internationally respected author, educator, speaker, and business coach, Boyajian consults for leading companies in the jewelry industry and is in demand as a keynote speaker by prominent groups from both within and outside the jewelry trade. He is on the Board of Directors of Top Hat, Inc. (DBA Be Iced Jewelry Evaluation Centers); Infocore, Inc., a list brokerage and management company; Outside the Bowl, a ministry to starving children around the world; and is Chairman of VeriChannel, LLC, The Search Engine of the Jewelry Industry, a company he helped found in 2010. Bill is a proud member of: 24Karat Club of New York, 24Karat Club of Southern California, The CEO Forum, Jewelers Vigilance Committee, Women's Jewelry Association, and the World Presidents Organization.